Serving delicious food in an inviting setting is just the start when it comes to making your restaurant profitable. You must also find ways to improve sales with tactics that go beyond simply increasing menu prices. To increase sales, you need a dedication to implementing marketing tactics as well as providing training to your staff on how to become a sales force that pays off for both you and them. Train your wait staff to encourage diners to order appetizers and desserts to help increase sales. Not only does this increase the size of each table’s check, but it also helps the servers make more tips. This requires more than just asking the people at the table if they want an appetizer to get started. Instead, train staff to mention the most popular appetizers and explain something that makes them unique. For instance, if you sell crab dip, your servers might mention how fresh shelled local crab is used to make the dish, if that's the case. Besides appetizers and desserts, servers also should push beverages, soups and salads. Getting new diners into your restaurant requires promotional activities. Send special offers via the mail to specific neighborhoods or businesses in your area. Mail attention-grabbing menus to local residents and businesses to encourage them to order to-go food. Place sandwich signs with large lettering in front of your restaurant or use a well-lit sign to announce specials and new dishes to encourage people to give your establishment a try. If sales are slow on certain days or during specific hours, offer specials to get people in the door. For instance, offer early bird specials to fill some tables during the quiet pre-dinner hours. 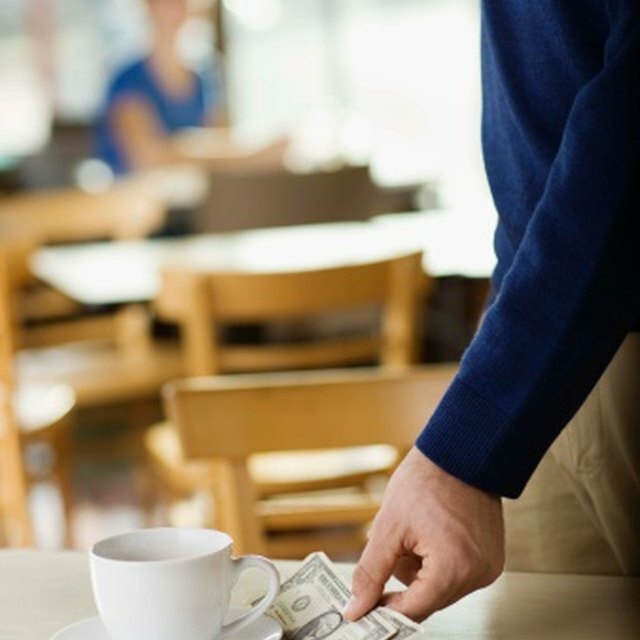 Create an incentive program that rewards frequent diners. That way, when your patrons need to decide where to spend their money, they choose your restaurant since they get more value for their money. Look for a program to add to your point-of-sale system to keep track of your patrons' loyalty. Or, simply create an attractive card your servers punch each time a customer comes in for a meal. Offer rewards related to your restaurant, such as free entrees, appetizers or desserts. Find ways to promote what makes your establishment unique to help improve sales. For instance, promote an express lunch menu for employees at local businesses to improve sales during lunchtime. If you have a private dining room, invite local sports teams and business groups to utilize the room in exchange for ordering food for their group. Look for ways to cross-promote your restaurant with nearby businesses that cater to the same clientele. For example, if your menu appeals to children, jointly advertise with a nearby children’s clothing store or play center to encourage the family to eat at your venue when they’re done playing or shopping.